If you need an alternative, empathetic view of homelessness, then this is it. 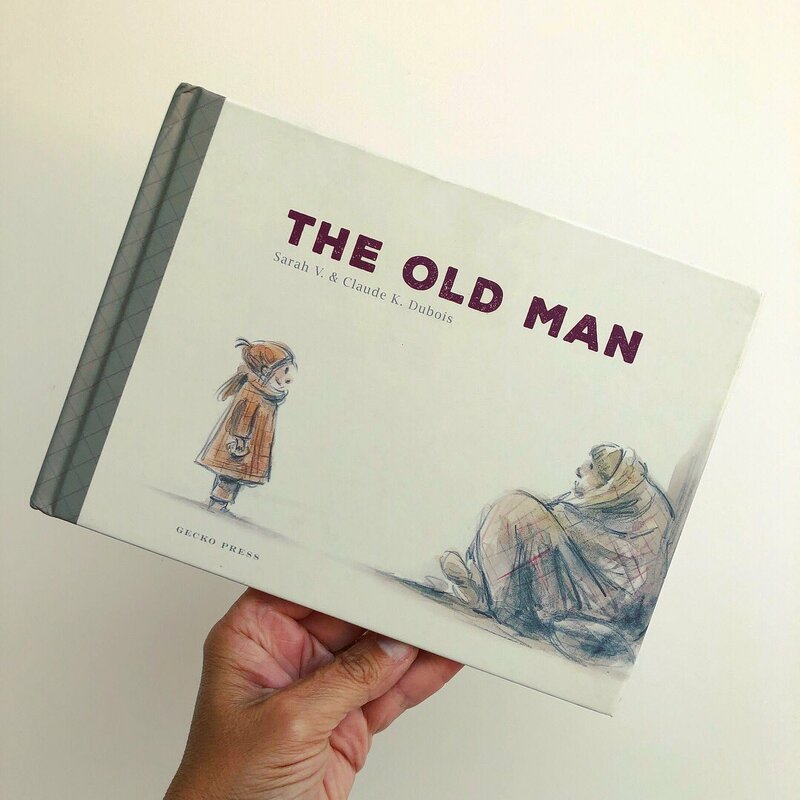 ‘The Old Man’ is a much-needed book, tenderly written by Sarah V & thoughtfully illustrated by Claude K Dubois. It is a touching and hopeful read and one which allows a younger audience to connect with and empathise with the circumsances that some people may unexpectedly find themselves in. 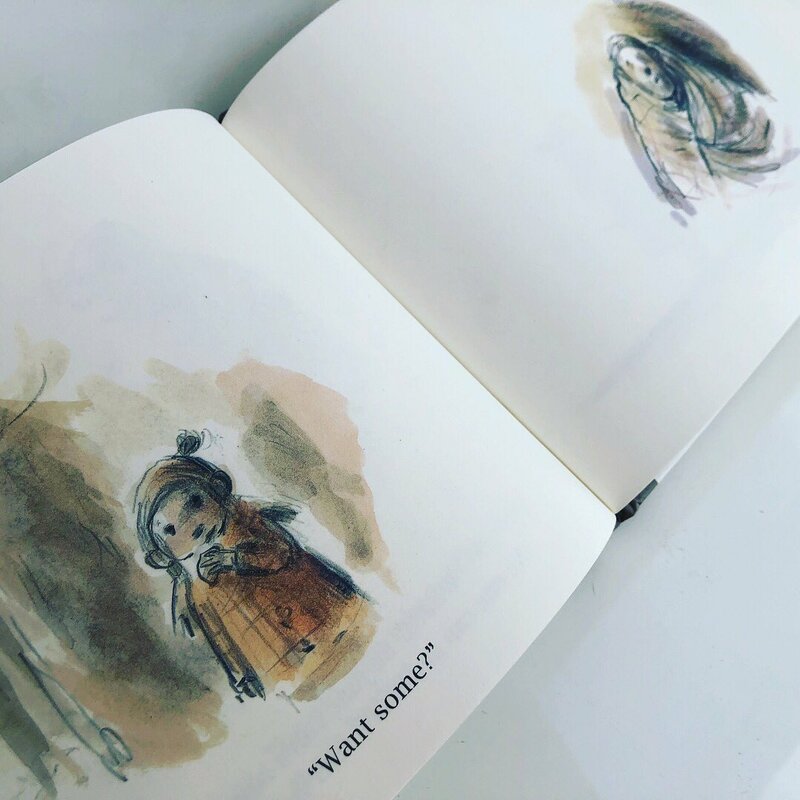 Illustrated in muted greys and browns, Claude K Dubois provides a considered palette for what initially appears to be a bleak and desolate tale, but ultimately results in an uplifting and optimistic end. An emotive story which looks at the person and beyond the situation in which they find themselves. It provides a warm, personal element to a situation we are often very detached from. 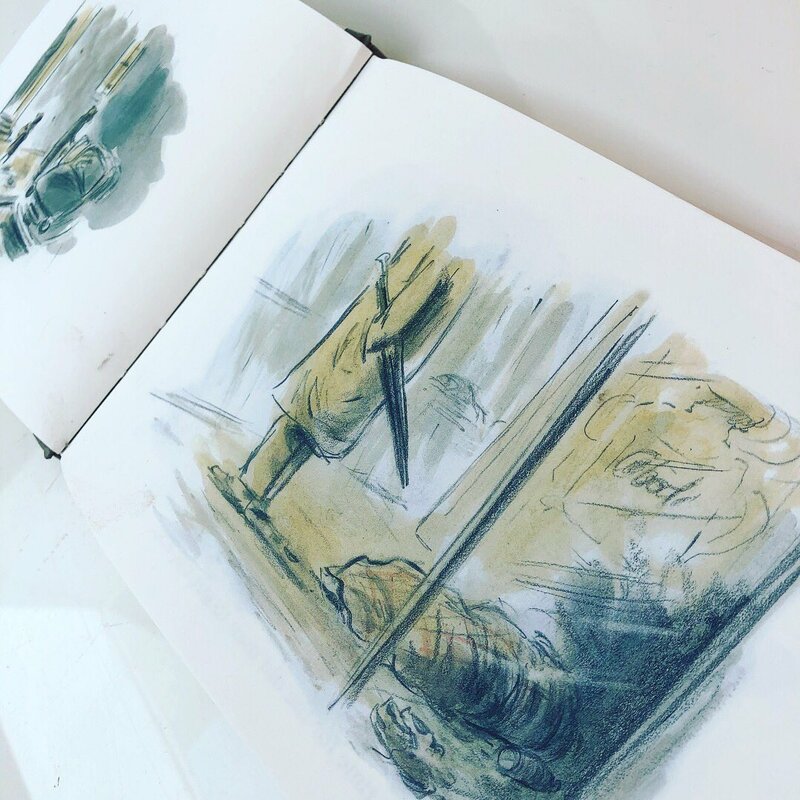 With a scant but powerful narrative, ‘The Old Man‘ adds a refreshing perspective to those who find themselves homeless. It also italicises the inherent kindness and generosity in children and their distinct lack of prejudice. The perfect starting place to shift preconceived notions and educate our future generations. A lesson for us all, this book should be shared far and wide across all age ranges, to increase our understanding and empathy and look beneath the circumstances of the individual. It will undoubtedly incite further valuable discussion and it is a subject area that deserves more attention.